that the automatic gear box consumes more fuel than manual gear box but I don’t think so. For me, this car is now less fuel-efficient than my Toyota Hilux pickup truck which has an automatic gear box. Cassette-radio combo player is the only player installed in this car. This is quite inconvenient to me because most music available nowadays is in CD forms. power windows at front doors and 2 manual windows at the back. The power windows failed. Instead of paying a heft some amount of money to repair them, I wish I could switch them to manual windows where such windows would have no risk of failing. damage on the injection opening. I wonder how the tyres went flat without any reason. The car is extremely prone to breakdown if I speed up my air condition fan or I release my clutch a bit more quickly. 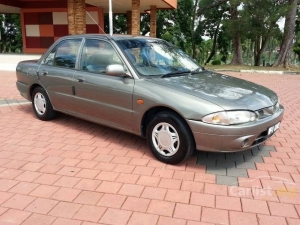 All in all, I would not recommend the Proton Wira car although it is affordable. Problems will manifest after a year or two after purchase. The reason why my parents still keep this car is to help my siblings to practice driving manual cars to pass their driving license exam. I’m using proton wira for 18 years and still going strong. Yes i’ve repaired aircon, top overhaul and other minor things but it is minor and inexpensive.My odometer showed 400,000 km….Its a durable car.